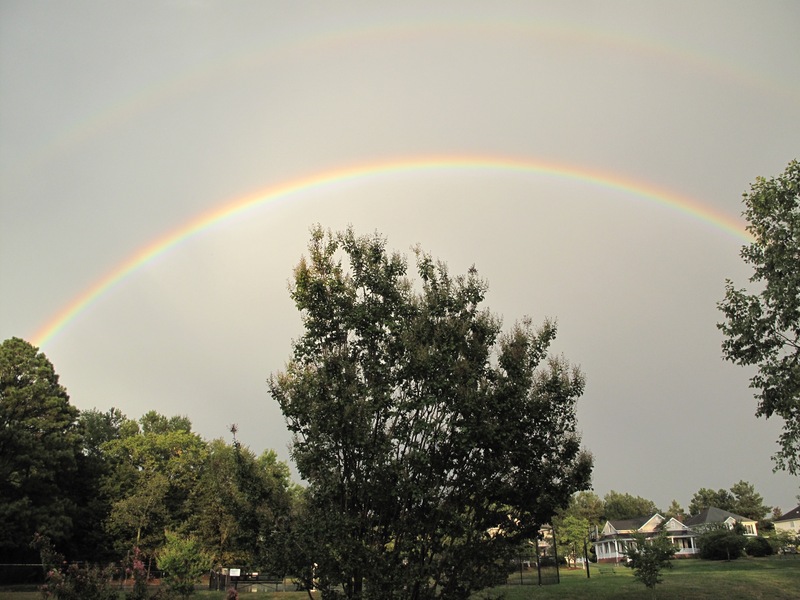 This entry was posted in garden and tagged double rainbow, wordless wednesday on August 12, 2015 by pbmgarden. This was a really nice one. For one thing, it meant we had some rain here! 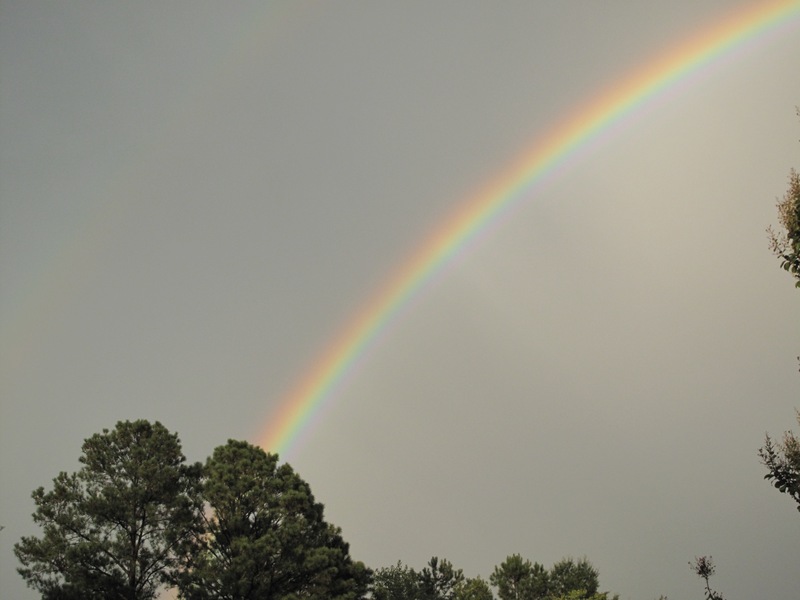 A double rainbow always feels so special, I hope you had some good rain too? Yes, we had quite a downpour. The garden looks much better this morning but there’s no more rain in the forecast. Still, happy to see everything refreshed for a time. Very nice. We got almost five inches of rain yesterday. Downpours. Wow, that’s a lot John. Not sure we had that much but it certainly was a welcome sight. What a magical sight. Great photos. Awesome in the true sense of the word. 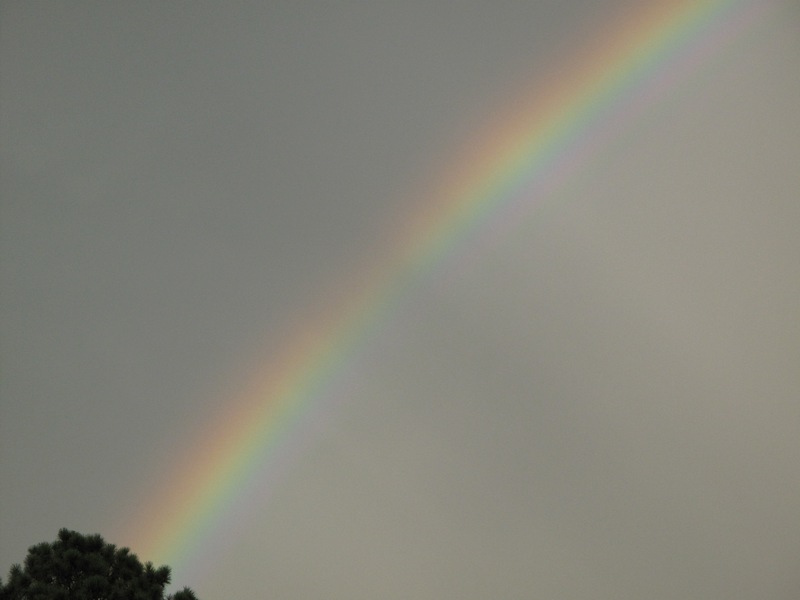 The best part of our rainbow was the rain that preceded it, a big relief. Blessed by the weather gods. It does feel that way Rickii! Such a beautiful rainbow! We haven’t seen any this summer. Me too Beth. Rainbows are so fleeting it would be a shame not to smile and enjoy.